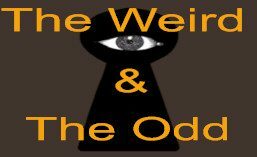 The Weird and The Odd | folklore, myths, and other weird oddities. A collection of Will-o’-the Wisp ghost stories revolving around an abandoned rail bed near St. Louis, Saskatchewan, Canada. A phenomenon that has inspired ghost stories, helped two high school students earn a gold medal in a Science Fair, and even earned its mark on a Canadian stamp. An unidentifiable light phenomenon is visible along a rail bed north of St. Louis where the tracks have long been removed. The light is said to begin as a glow starting on one side of the rail bed that increases in brightness as it moves to the center of the rail bed. A common description by eyewitnesses of the level of intensity of brightness has been compared to the brightness of a star. The length of time of the phantom light lasting varies from a few seconds to roughly an hour. In some accounts the phantom light is followed by a deep red light. What is this phantom light? Way back when the rails ran past St. Louis, a railroad worker was on a routine rail inspection. While on his daily work routine consisting of inspecting the rails, moving from one stretch of rail to the next on his iron coal fed work horse, and of course not to mention his routine visits of his ol’ pocket companion the flask, the inebriated worker stopped at a stretch of rail just north of St. Louis. When getting out of his overworked iron horse he inadvertently neglected to make sure the brake was applied. The worker was on the ground behind the engine checking the rail with his head aligned parallel to the rail facing away from his oncoming death. While lining up his sights on the rail, the engine slowly started to roll in reverse and unhurriedly severed his head. A long time ago, some time between World War I and World War II, a train passing by St. Louis had to come to a complete stop just north of St. Louis due to snow covering the tracks. Two men decided to exploit the situation and rob the train. At some point during the heist the thieves killed the hapless conductor and over a dispute over the loot one of the thieves killed his partner. Both bodies were buried under the snow and were not discovered until later in the spring when the snow melted away. Back in the days when it was common to see the sights of trains permeating the skies with their black bellowed smoke clouds grinding and chugging away down the rails a passenger train derailed just north of St. Louis. The passenger cars were illuminated with oil lanterns. When the train derailed, the lit lanterns fell and immediately endoused the wooden passenger cars into flames. All passengers died in a fiery hell. Two 12th graders in Saskatchewan Canada conducted an experiment for a science fair project on the St. Louis Phantom Lights starting in the fall of 2001 and ending in winter 2002. After doing several experiments to figure out this unknown light source and trying to recreate the phantom light they succeeded. The conclusion to their theory of the explanation behind the ghostly lights suggests that it is an optical phenomenon called diffraction. Diffraction is the process by which a small beam of light from a distance is spread out through a narrow passage, such as gaps between trees, and create the appearance that the light source is closer to the observer. Their project received the gold medal. In 2004, Canada Post debuted their “spooky tales” stamp collection. 1 of the 5 featured stamps was dedicated to the St. Louis Ghost Train.